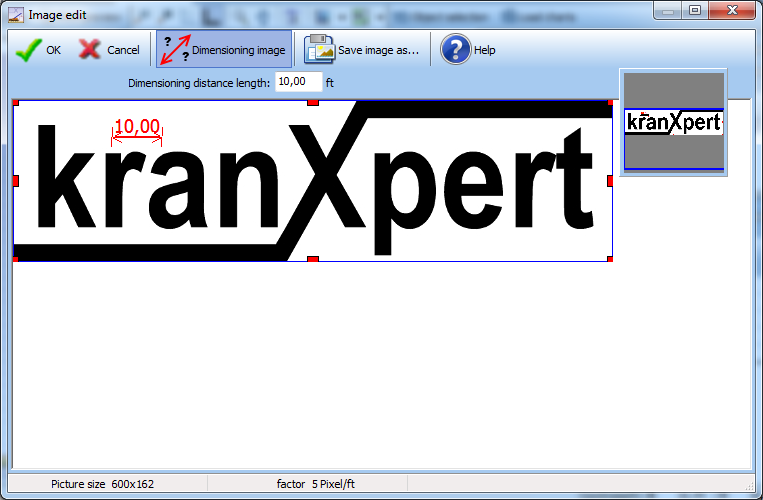 Since kranXpert version 1.8.0.0 is out you can add images to the front, left side and top view. 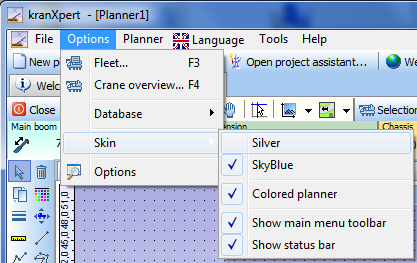 Lock the drawing element in the planner that the element is not movable / sizable. 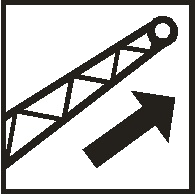 When you double click on a insert image or use the tool button in the draw item properties you can edit the image. 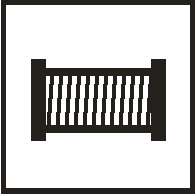 With the red rectangles around the picture you can add cut margins. 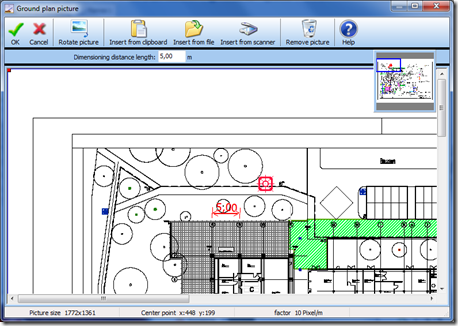 When you want dimensioning the picture like the ground plan picture click on the tool button ‘Dimensioning image’ then the movable dimension is showing, set the dimensioning to the knowing position and input the ‘Dimensioning distance length’ in the edit box. 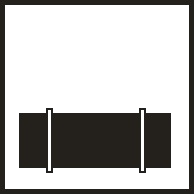 jpg files don’t support transparent backgrounds, we prefer png files for ‘Add images from file’. 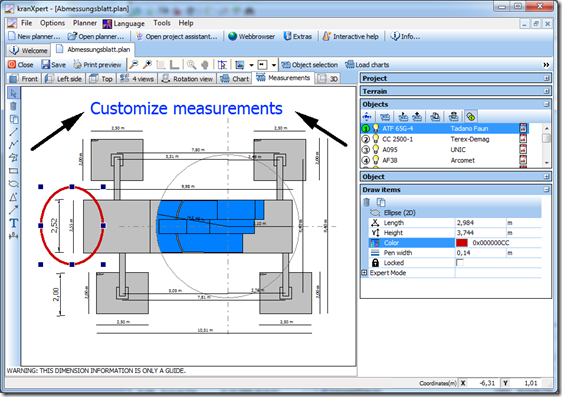 I add a customer wish, he wants customize the measurements view with drawing items and want add own outrigger load information, he also ask for automated dimensioning’s of the outrigger pads. 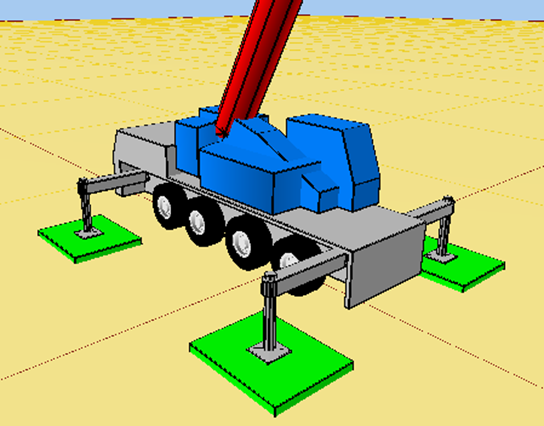 New feature in the upcoming version, adding outrigger pads to the crane. 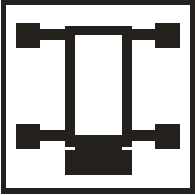 a new feature for the upcoming version of kranXpert. 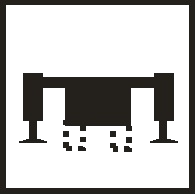 The existing help system based on chm file is replaced with a own developed help system based on html/css with the possibility to send actions to kranXpert. 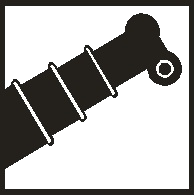 What means interactive? 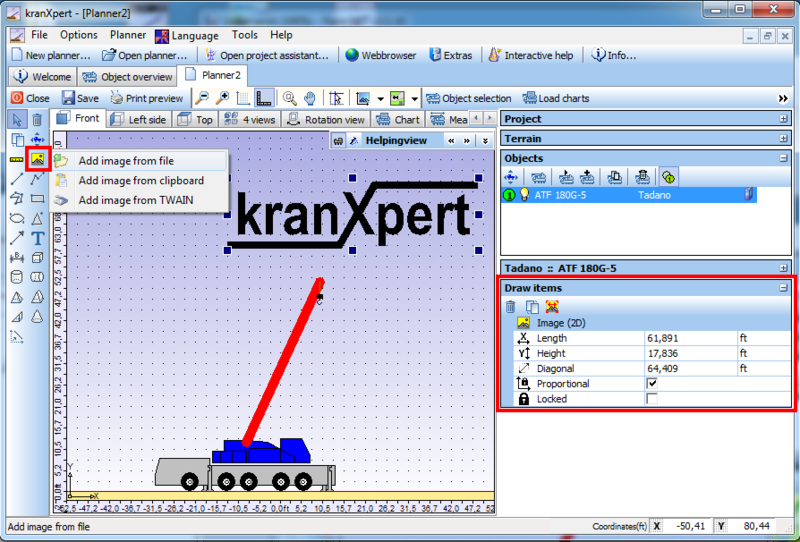 When you work with kranXpert the content of the interactive help window is changed by your doing and give you hints for the current action. 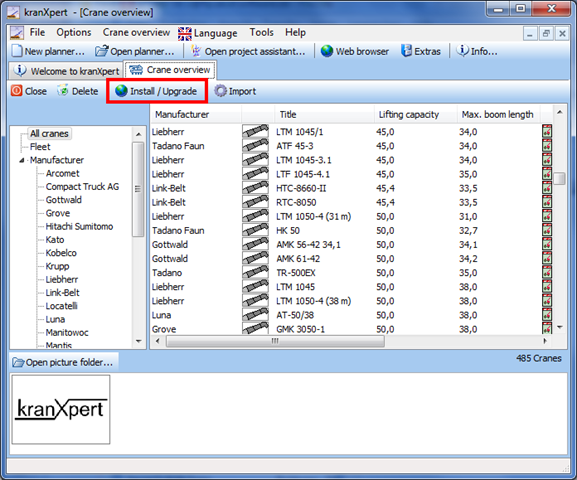 In the help window section ‘Action’ are links that are execute inside of kranXpert. 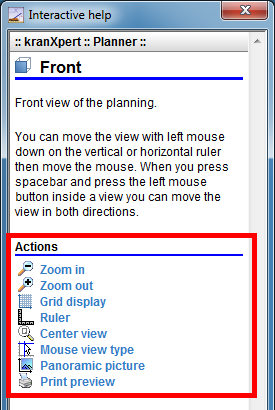 As a sample when you click on the ‘Zoom in’ action in the interactive help window then kranXpert zoom in the view like when you click inside kranXpert on the zoom in button. So you have both worlds reading the manual and execute the methods directly inside kranXpert. 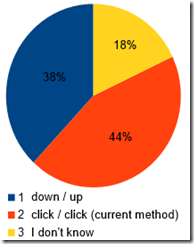 i make a poll about the drawing mouse click methods inside kranXpert in the welcome window. 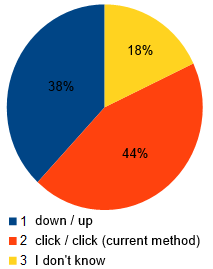 Most users 44% want to stay with the current click/click method, 38% want a new down/up drawing system. The result show me that I can’t remove the current method, some users want stay with it. For the next upcoming kranXpert version we find a way to support both ways. Is was time to create a 2012 version of the free edition and now it is available for download. 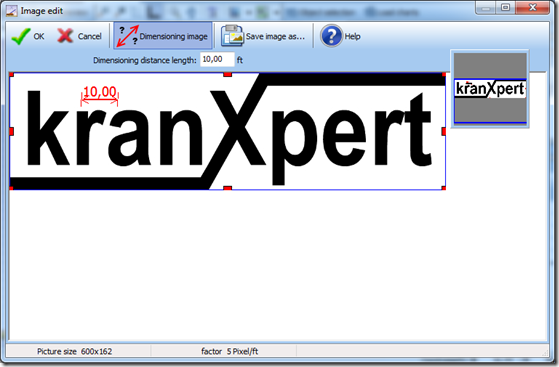 – remove the kranXpert watermark from the views and printer output. 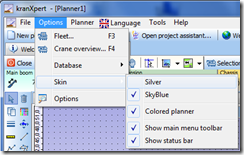 – add planner save/save as and planner load buttons. 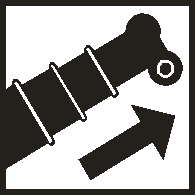 These are small changes, but I think that makes the tool more useful. 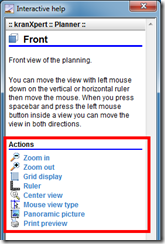 – when a 2.5D view is active and you press the spacebar key and hold it that the function ‘Move view’ is selected and by click the left mouse button and move the mouse you change the view? 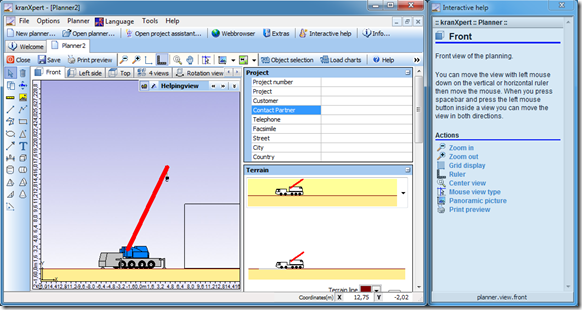 – in the 3D view when you press the center mouse button or the mouse wheel that you can change the position of the camera view? – when you draw a item and you want exit the drawing function that you can press the right mouse button? 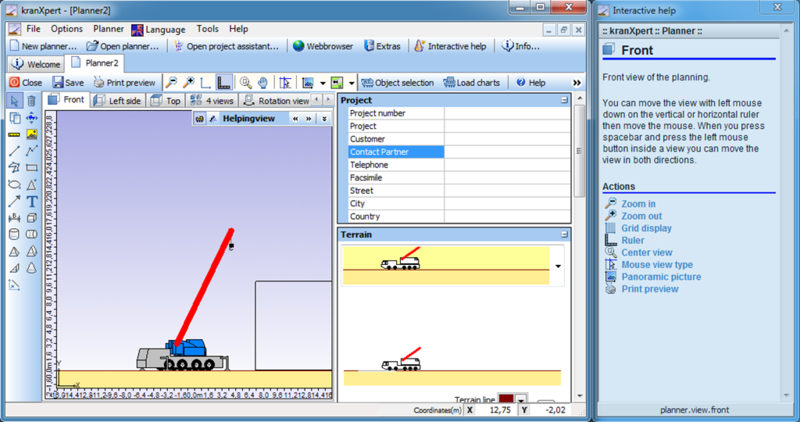 – when the drawing selection arrow is selected and you double click on a drawing item that this open’s a property window? 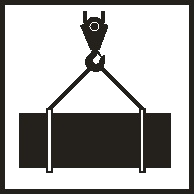 In a next version we want to change the kranXpert print out and give more detailed crane information to symbolize that information we draw some crane pictograms. 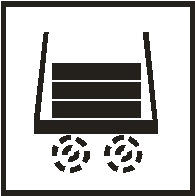 This pictograms you can download and use it without any restrictions for you’re use or publications. 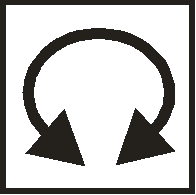 The symbols are in the emf vector format and in the jpg and png picture format. 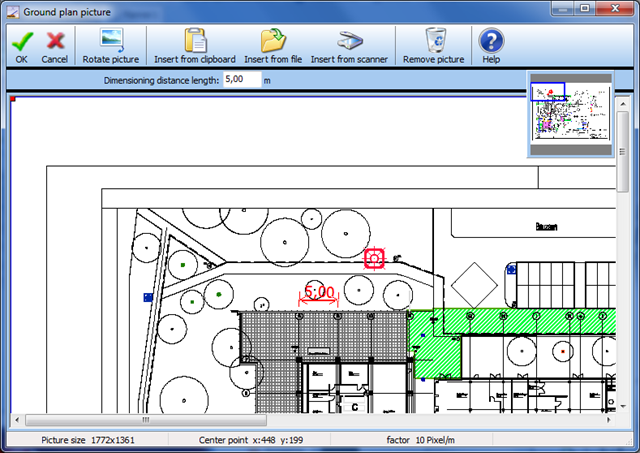 In the next version you can change the view style of kranXpert select from Silver or SkyBlue skin. 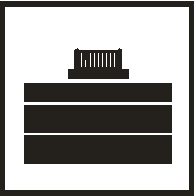 For netbook users with a small screen height we add hide the main menu toolbar and the status bar. We also changed the info panel and move it from the top menu to the right sidebar to get more height for displaying the views. 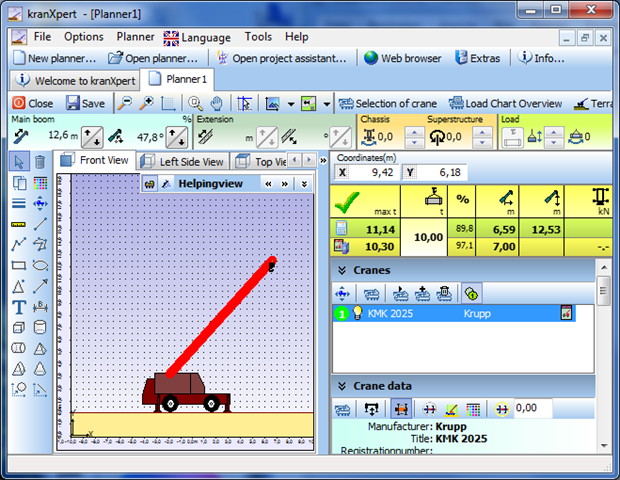 The new info panel show in the row with the calculator symbol the calculated load information and in the second row with the leaflet/book symbol the load information from the manufacturer load charts. 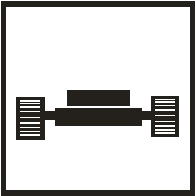 For the next update we change the insert ground plan features. 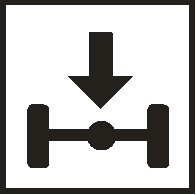 The pictures will be stored in the planner file and not use links to the image files like in the current version. 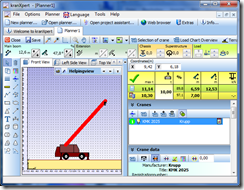 That it is easier to copy/move the planner files or share it with other computers or customers. 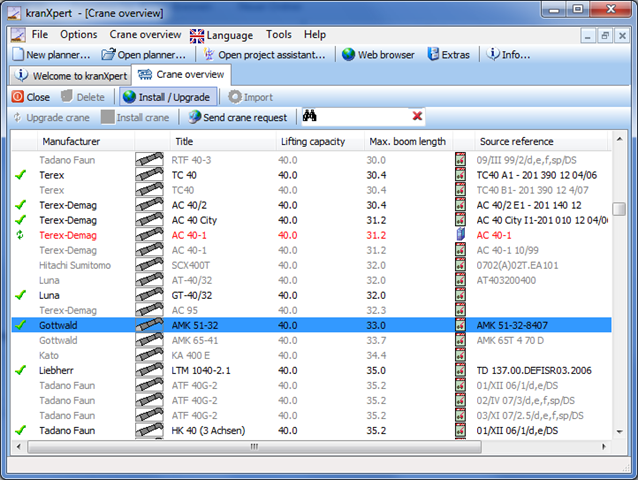 We insert in the crane overview the button ‘Install/Upgrade’ where you can check for updates or import new cranes (need internet access). 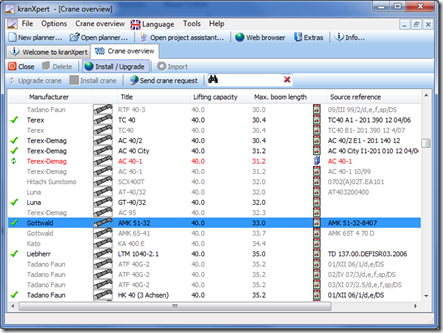 When you click on the button ‘Install/Upgrade’ then the current crane list is downloading from the kranXpert homepage and compared with the already imported cranes in the database. 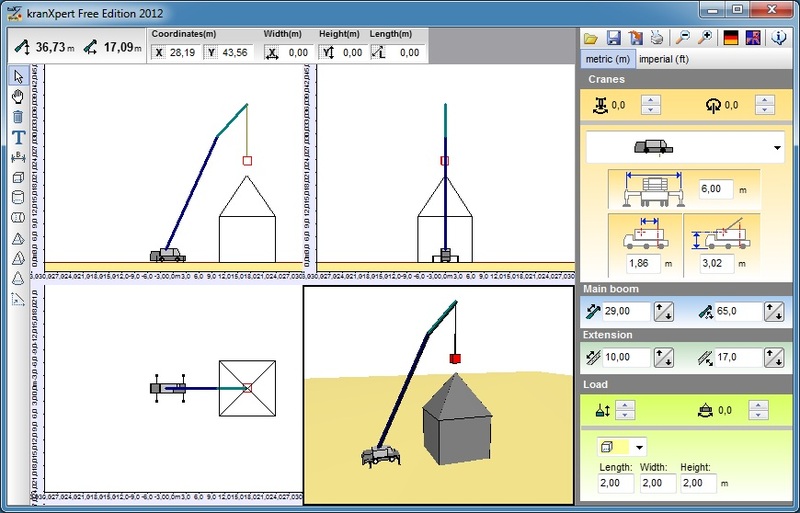 To install or upgrade a crane double click on the crane or use the buttons ‘Update crane’/’Install crane’. 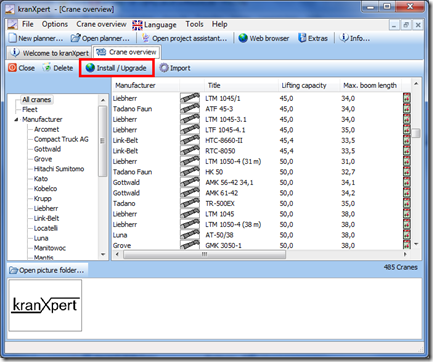 If a crane you need is not in the list you can click on the ‘Send crane request’ button and input you’re request like on the kranXpert homepage (in the customer area). 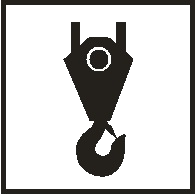 We speed up also the crane import function, now it takes some seconds to import a crane file.